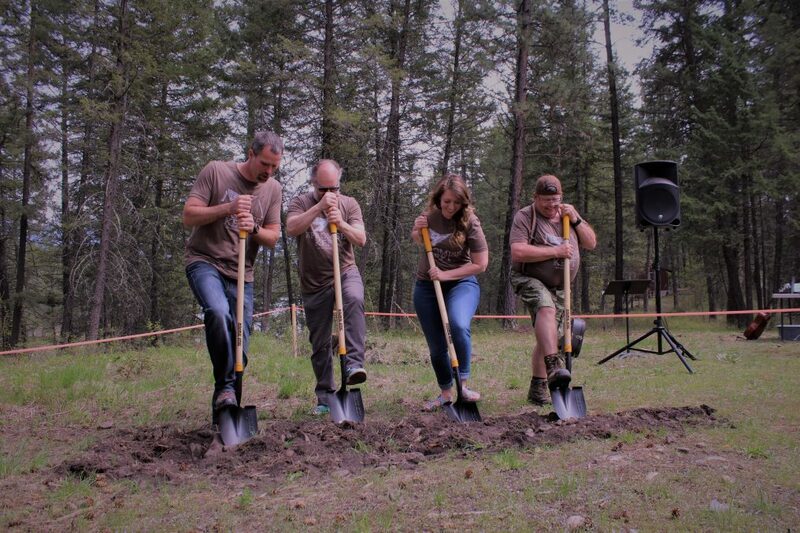 I just wanted to say a big thank you to all who were able to make it out for Big Sky’s groundbreaking celebration! For those that could not attend, it was a great day all around. We kicked it off with Big Sky’s fun run, which brought 148 participants of all ages and abilities. Following that, the cooks did a wonderful job providing lunch for the 200+ people that showed up and the groundbreaking time was truly a time of worship and praise to God! The scripture that was read during the groundbreaking was Nehemiah 1:1-11. For those unfamiliar with the context, Nehemiah had a burden to rebuild the walls and gates of Jerusalem. Verse 3 tells us that upon hearing about the condition of Jerusalem’s walls and gates, he sat down and wept and mourned for days. This teaches us something about the character of Nehemiah – he cared. Imagine caring about something so deeply that you could weep and mourn for days over it. Nehemiah cared about God’s glory, his people and their traditions, his ancestral city, etc. The other admirable thing Nehemiah did is that he acted on his care. It is one thing to care deeply about something and another to take action regarding what you care about. Nehemiah faced intense opposition as he attempted to act, but that didn’t stop him or discourage him. He was on a mission for the Lord and there was no getting in his way! Although I don’t know that any of us have mourned for days, the Big Sky and Camp Promise staff have a burden on their hearts for this facility. The burden is driven by a desire to spread the gospel of Christ to children and those with special needs. We have a great opportunity in front of us and I am afraid that we are missing that opportunity because we lack the tools to take advantage of it - in this case a facility. Thank you again to all of those who joined us for the day and sacrificially gave to this project, we take no gift for granted and are so thankful for those that care and desire to act in the way that Nehemiah did!